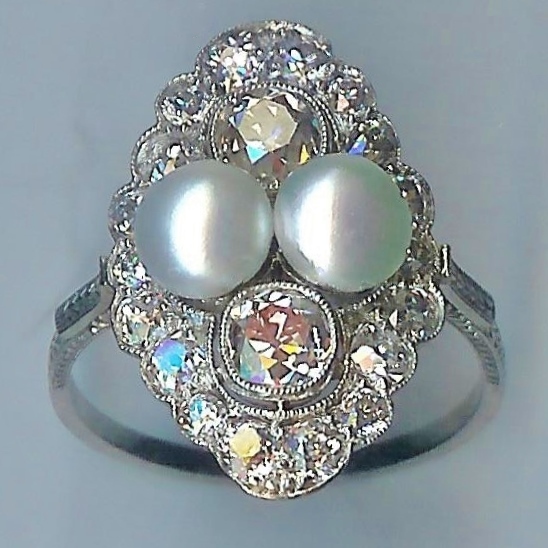 Spectacular Vintage Diamond and Pearl Cluster Ring [SH10232] - £4,250.00 : loveVintageDiamonds.com, Your Vintage Diamond Dreams Come True! 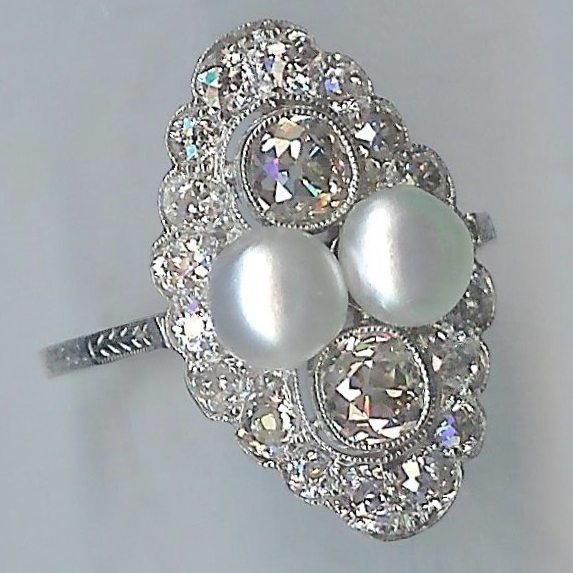 Spectacular Vintage Diamond and Pearl Cluster Ring. A head-turning item of immense beauty! There are two main diamonds, each approx. 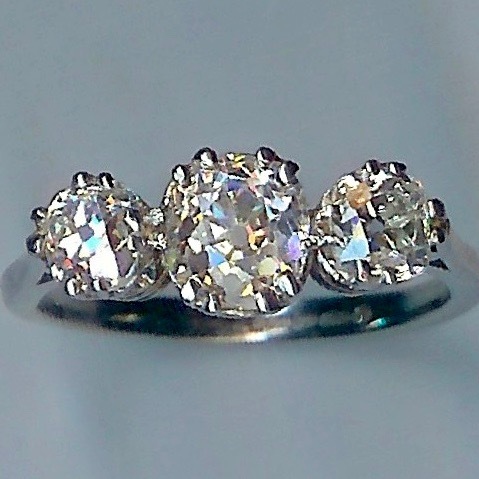 0.40cts, plus eighteen further diamonds set into an oval frame. The total diamond weight is approx. 1.35cts. 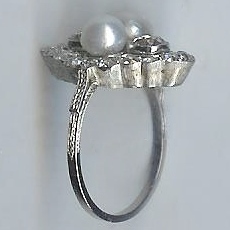 Within the frame are also two button pearls. The underbezel has been textured, and the shoulders are hand-engraved on three faces. The metal is white throughout, unmarked, and tests as platinum. 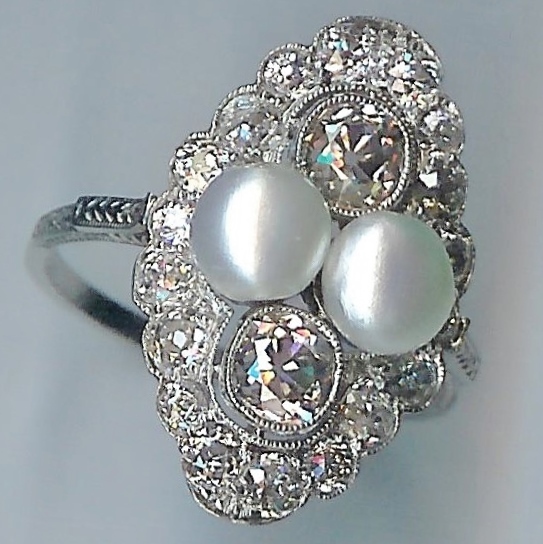 Currently this ring fits finger size 'M '/2 ' (UK).